​Hollywood loves a good testosterone-laden tale of violence, balls-to-the-wall action and females who serve as little more than window dressing. After all, they know their high-end profit demographics male audience will pay up, settle in, tune out and go home happy. 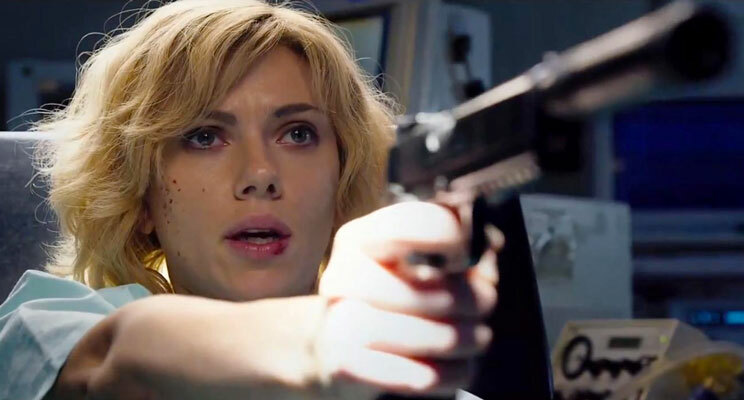 Lucy, a science fiction disaster, brought in almost 500 million dollars for Universal Pictures, which just proves that men will buy anything with a beautiful blond, car chases and plenty of blood to salivate over. Director Luc Besson, famous for his sci-fi cult thriller, The Fifth Element (1997), brought that film to life with a fully developed story arc, fascinating characters and memorable moments of excitement and humor. Seventeen years later, Besson offers Lucy (2014) a one-celled story about using 100% of our brain power, which just turns out to be another ode to the super-computerized brain. Lucy becomes a mule for an experimental drug called CPH4, a chemical that pregnant women produce to assist the fetus during gestation. In one of the most improbable scenes, she's captured by an Asian gang, who implants it and sends her off to Europe. Along the way the bag opens and she's transformed from a sniveling, freaked-out mess into an impassive, highly evolved woman, bent on finding out what to do with all her knowledge within a ticking clock deadline. This plot scheme begs the question that since Lucy's brain is operating on more cylinders than any other human on the planet, going in search of a famous male scientist is not only a moot point, it's a sad waste of her remaining time. 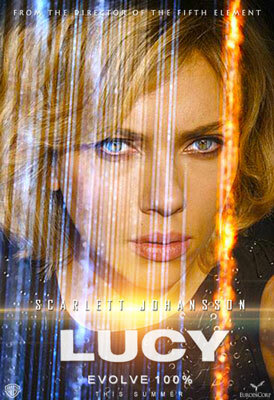 Scarlett Johannson is the robotic Lucy with a killer fashion sense, but for all her advanced intellect, can't offer any real insight into who she was or is now becoming. This is possibly her least memorable performance, because after all, it doesn't take much to deadpan your way through 90% of a film. 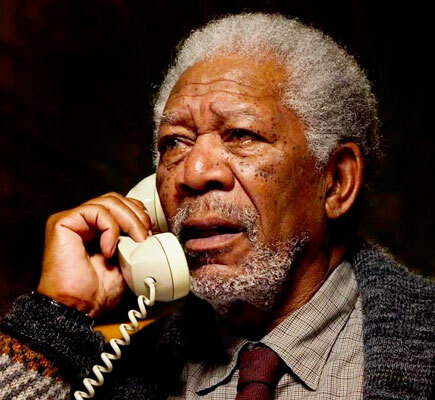 The supporting cast is also set on auto mode: Morgan Freeman as the expert she seeks out has little to do but spout a few motivational affirmations, nod sagely and wait for the ending credits to roll. Choi Min-sik leads an Asian gang, screaming out orders while wiping blood off his eye-popping face. Amr Waked plays a cop who doubles as Lucy's chauffeur and not much else. The only notable thing about Besson's cinematic clunker is the amazing feat of featuring a woman in the title role, completely surround her with males and violence, and then turning her into a computer drive. This becomes the perfect metaphor for the Millennial Male and is superbly encapsulated in a scene where Professor Norman assembles a team of "the best scientific minds" - and they all turn out to be males. It would seem that in Besson's world, the Perfect Woman is still a Stepford girl. If the sexist premise doesn't leaves a sour aftertaste, there's always the racial profiling of Asians, who are quickly becoming the Stepin Fetchit characters of our enlightened century. Lucy also boasts Industrial Light and Magic's effects that are little more than left-over scraps from Stanley Kubrick's 2001 Space Odyssey. Besson later waxed philosophic about Lucy, using words like "risk" and "novelty", and while I'm sure he was referring to his central plot idea, there's nothing truly visionary about sexism and racism dressed up as a Comic Con selfie.